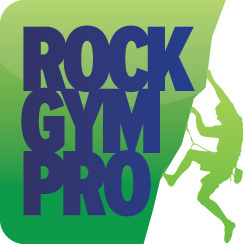 When you enable database replication you will be securely syncing your database with the Rock Gym Pro data center. The database can then be used for point-in-time recovery, in addition to powering the Web Dashboard. Note that the contents of your database will be remain private and confidential and will not be shared. If you haven’t already, download and run the MySQL Configuration Utility on your server to optimize your MySQL settings to work with Rock Gym Pro. It’s imperative your MySQL settings be properly configured to work with replication. From Data Entry select: Manage --> Maintenance --> Database Replication. Enable replication by checking the box. Click the Advanced button. Enter the interval you would like to update your database. The default setting is 60 seconds. Click OK.
Once replication is enabled, it will automatically begin after the next offsite backup is received by Rock Gym Pro. If you don’t want to wait you can manually transfer an offsite backup. Click OK again to save your settings.